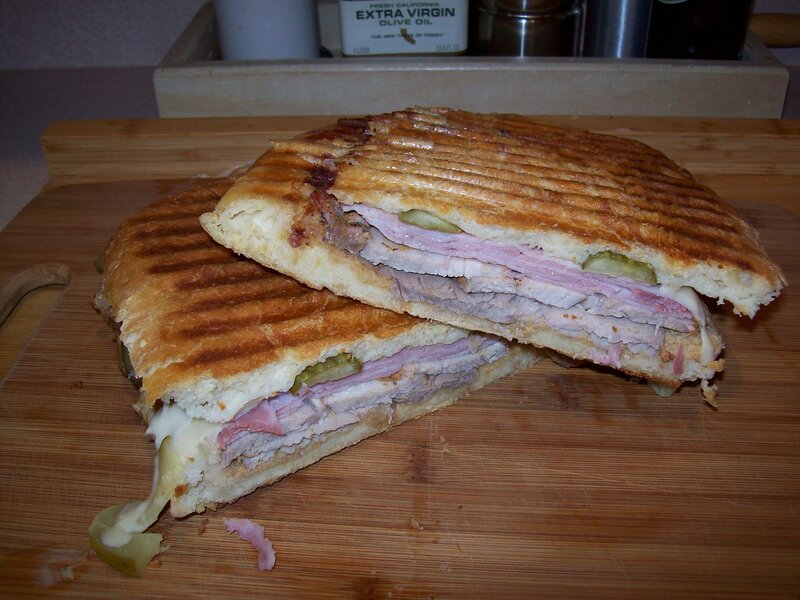 OK Every time I go to Tampa office there is this little restaurant in a strip mall that I insist on going to, I always get the Cuban sandwich. So as I watched the Pats defeat Tampa Bay last week I munched on this sandwich. 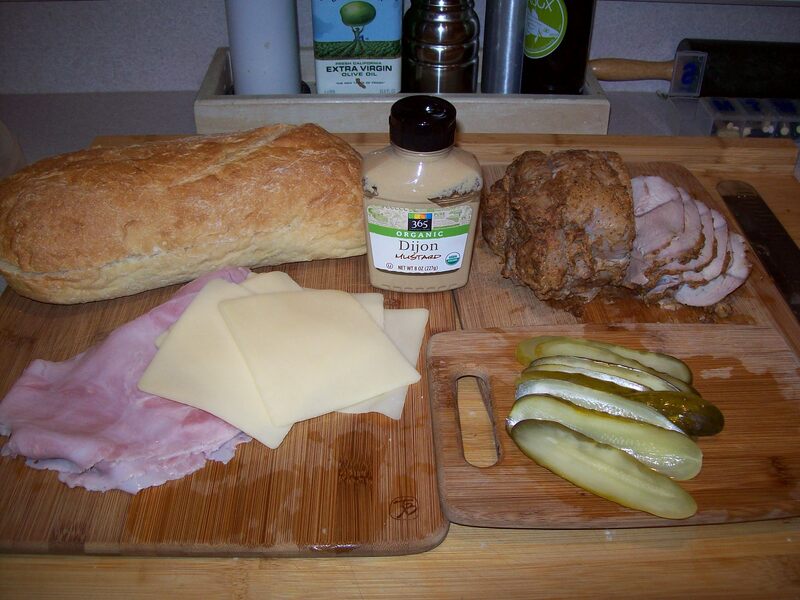 I pretty much followed theirs but made a mistake in the rub and used whole grain mustard instead of ground. I was off just a little bit all weekend. Hey that’s a good excuse to try the pork again right? 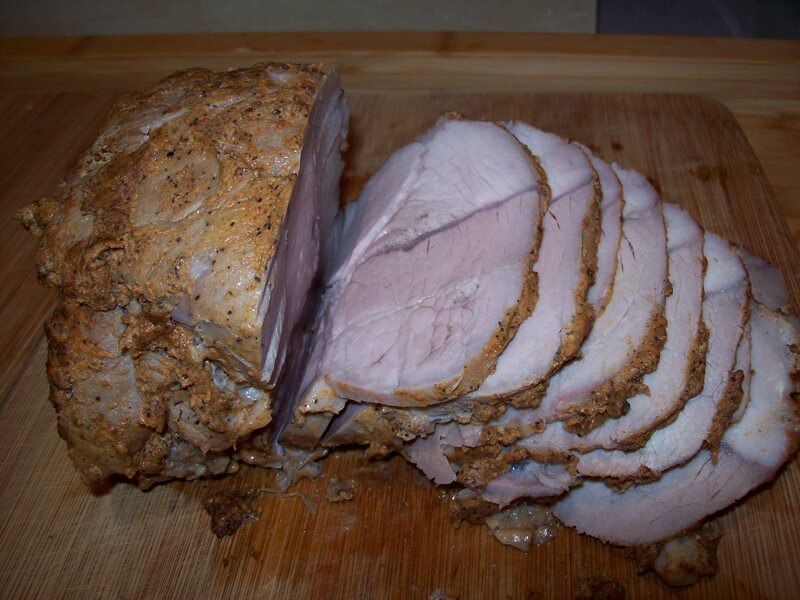 To cure the pork, combine 2 tablespoons of the salt with the sugar and ground mustard. Rub the mixture all over the meat, cover, and set it in the refrigerator to cure for 6 hours. To roast the pork, rinse it under cold running water to remove the seasoning. Pat dry with paper towels. Combine the Dijon mustard, mace, black pepper, paprika, and the remaining 1 tablespoon salt. Rub the mixture all over the meat. Set the pork in a roasting pan, cover tightly with aluminum foil, and cook until the internal temperature reaches 175°F, about 45 minutes. (Mine took much longer) Allow the meat to cool completely before slicing. 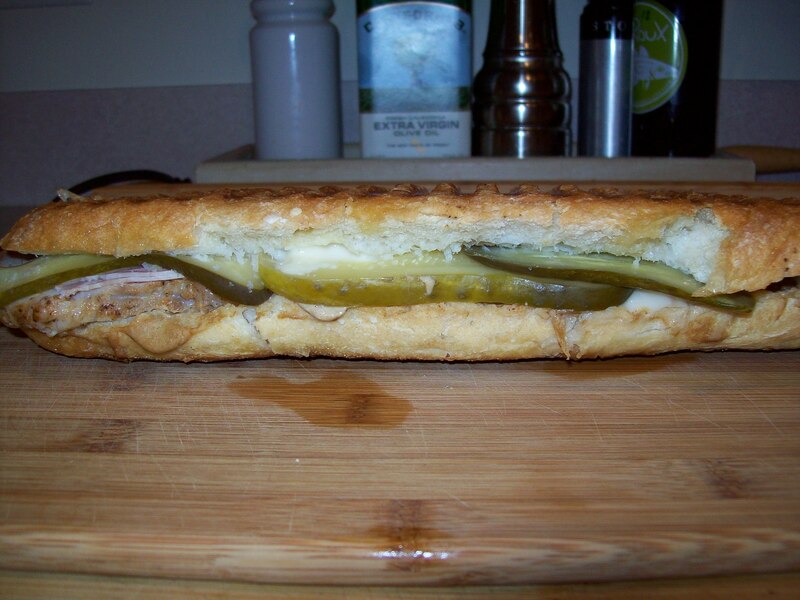 To make the sandwiches, heat a sandwich press or griddle to medium-high. Split the bread lengthwise and pull it open. 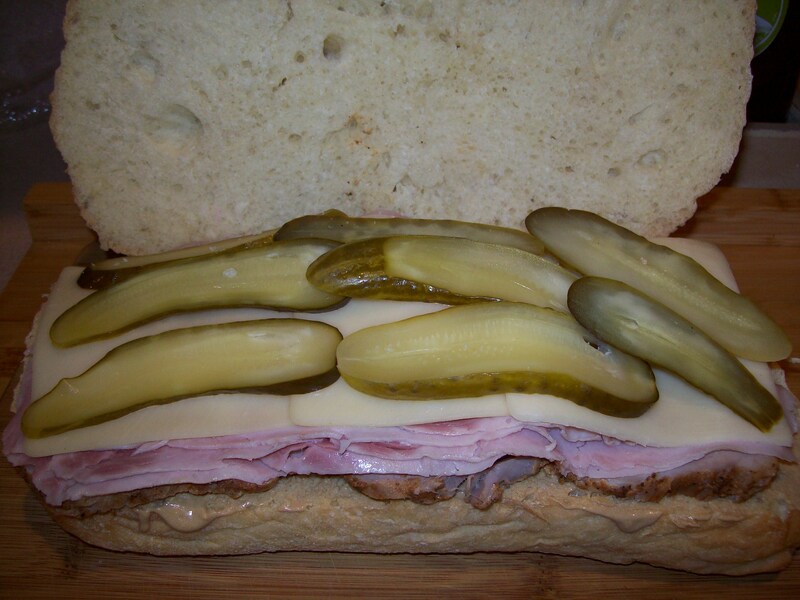 Spread the mustard on 1 side of each roll and layer on the roast pork, ham, cheese, and pickles. Spread the butter all over the outside of the sandwiches and griddle until the cheese is melted and the meats are warmed through, 3 to 4 minutes. (Alternatively, wrap the sandwich in foil and toast in a 350°F oven for 5 to 7 minutes.) Slice each in half on the diagonal and serve. You can press this as I did, eat it un-pressed or if you don’t have a press take two bricks wrap in tin foil heart in 500 degree oven for about 1/2 hour and use those to press. This entry was posted in Meat, Patriots Game Day, Pork, Sandwiches and tagged Black pepper, Cook, Dijon, Home, Mustard, Olive oil, pork, Sandwiches. Bookmark the permalink.